With PRO you can set custom background for the toolbar instead default gradient. 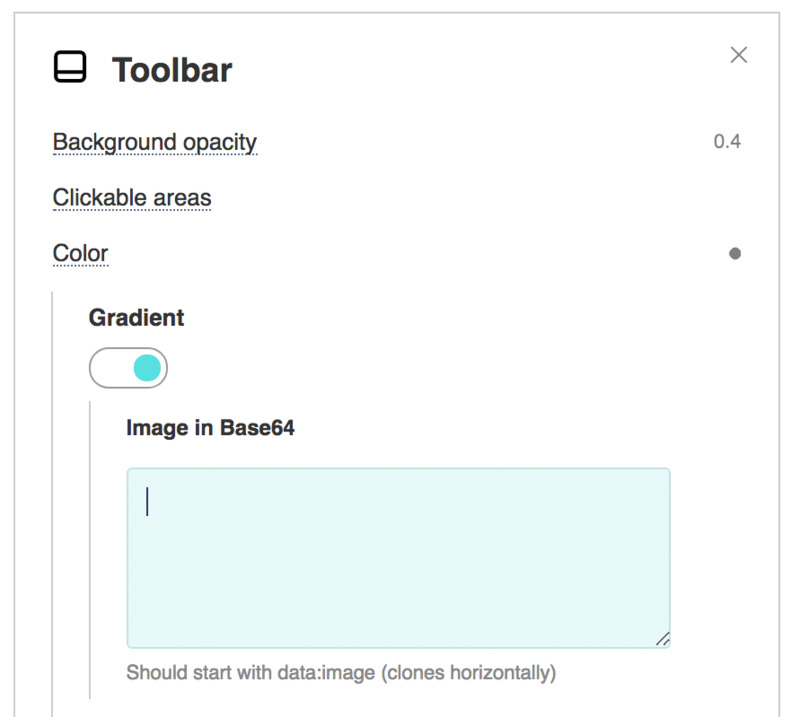 Just insert your image in Base64 in Toolbar / Gradient / Image in Base64. It should be a small part of the horizontally cloned background. You can easily convert you image file to the Base64 using any online converter. Look to this template with the sample of the custom toolbar background.